In the FIA WTCC the race never stops, not even when the chequered flag comes down. There wasn’t much time to celebrate Citroën’s first World Championship title in the series, in Shanghai, last Sunday. As soon as the WTCC C-Elysées had been loaded into the containers, they set sail for Japan for the penultimate round of the season. Located 400km south-east of Tokyo, near Nagoya, the Suzuka International Circuit is famous for hosting the Formula 1 Grand Prix since 1987. After three outings in Okayama from 2008 to 2010, the FIA WTCC is back for a fourth visit to the venue. Unlike previous years, this time around the TC1s will be using the full Grand Prix circuit, which measures 5.807km. “That’s really good news. Previously, we had to settle for the shorter, 2-kilometre track,” says Yvan Muller.“To be honest, all the drivers felt it was a shame to go halfway across the world to compete on an uninteresting circuit, where it was impossible to overtake. Now our cars will be able to express themselves on a track where they can really show what they’re capable of. The pressure will be on José María López at this eleventh-round meeting. The Argentinian driver has a healthy lead in the World Championship standings and has notched up five pole positions, eight race wins and seven more podium finishes so far this season. These results have earned him 384 points, with Yvan Muller the only man still in a position to beat him to the title, on 291. 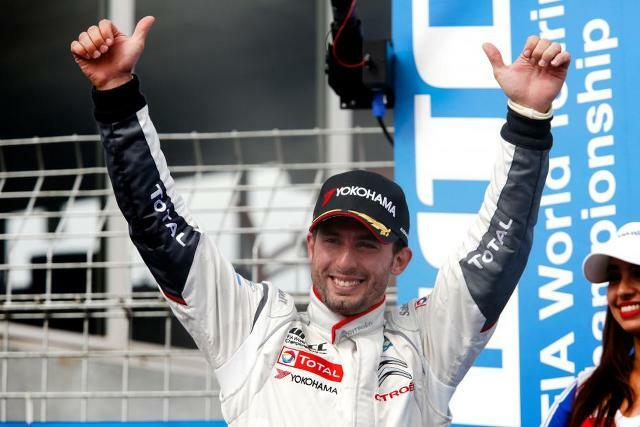 Pechito needs 17 points to be crowned champion in Suzuka, the equivalent of one second-place finish. Statistically, it is likely that the title will be his after race one. In Argentina, where touring car racing is a real institution, expectations are high. With an entire nation behind him, Pechito looks set to become the first man from his country to win an FIA World Championship since Juan Manuel Fangio.